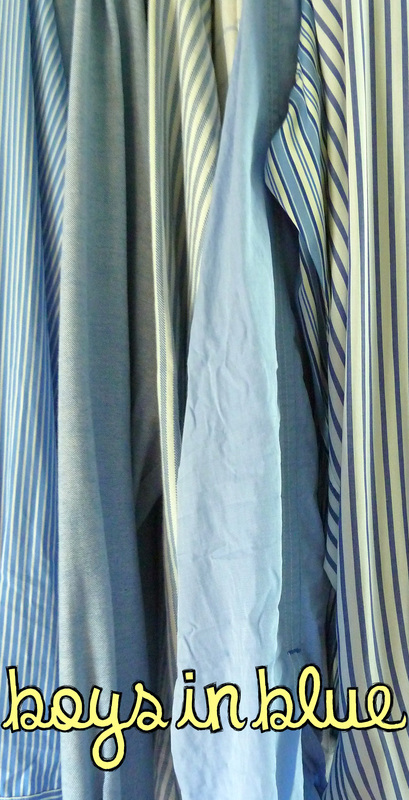 Blue has long been my favorite color, and this summer I have fully embraced blue. According the the psychology of color, blue is associated with water and peace, curbs your appetite and creates a calm and serene atmosphere- basically exactly what summer should be like. There are so many shades of blue and ways to incorporate it into your summer style, but I made a list of my 1o favorite ways to add some blues to your life! 1. Coolers have become extremely popular this past year, the fad even reached my small liberal arts college in Memphis. Painting them may be fun, but I love this party tub more than any cooler I've painted. We received ours as a gift but you can find a similar one on Etsy here. Just message them if you want a different fabric pattern and a monogram or any other customization. These are perfect for hosting parties or as a hostess gift at parties where you are a guest! b) A vv pullover- they are so comfortable and perfect for a cool summer night, preferably on the beach. I am so happy my brother outgrew his and I managed to grab it out of the bag my mom left on the porch for the goodwill! I wear it all the time now. d) A summer sportcoat- I know that it is summer and its hot, but come on. I just love this outfit. The light colors and even lighter fabrics are the perfect combination to look hot in summer without actually overheating. 3. I don't think words can explain how much I love this bag. It fits the crazy amount of items I always carry around with me and adds the perfect pop of color to any outfit. You can buy it from Kate Spade here, or check out some similar bags at a lower price here, here, and here. 4. I don't know what it is, but my dogs love this dog toy. 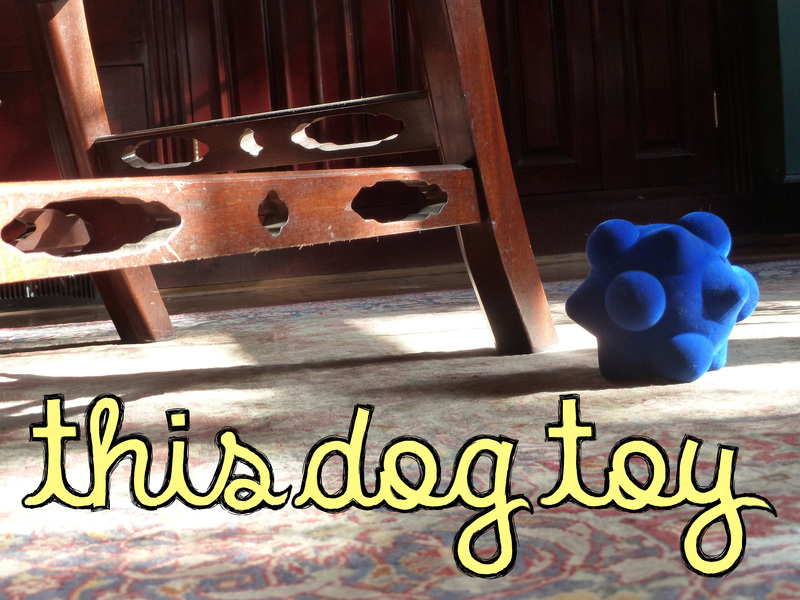 It squeaks, it bounces, and they are obsessed. The shape makes it difficult for them to pick it up so they spend hours picking it up then dropping it, chasing it as it bounces down the hallway, picking it up again, and starting the process all over again. It perfect for days when I have no desire to sit outside and play fetch with them or don't want them staring at me, begging for food, when I just want to eat. So if you have over attentive dogs, run to your nearest Petsmart and pick one of these up! Your pups may actually leave you alone for a few minutes! 5. These personalized notebooks are too perfect. 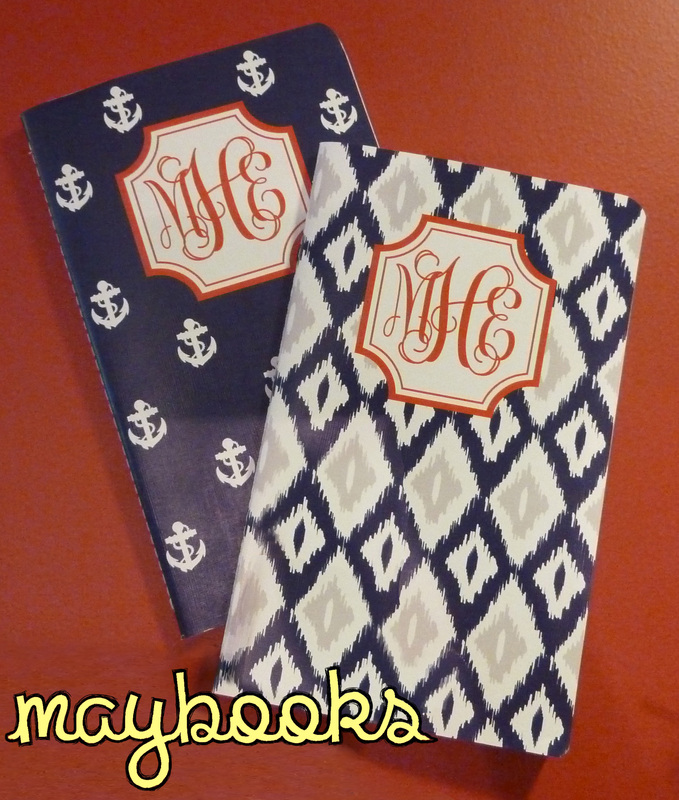 You get to pick the background, the monogram or label, and the inside of the notebook. I ordered two and use one for brainstorming new blog ideas and the other for recording my workouts and diet. The insides pages can be customized to an 2012-2013 academic agenda, a 2013 monthly+weekly agenda, a non-dated weekly agenda, a meal planner, or simply have blank, dot grid, graph, or lined pages. Maybooks are also a perfect gift for engagement parties or baby showers as the inside pages can also be customized to be a wedding diary, a bump diary, and a baby diary. Check them out and order one for yourself here! 6. I love when it gets warm enough for my dad to break out his MG. 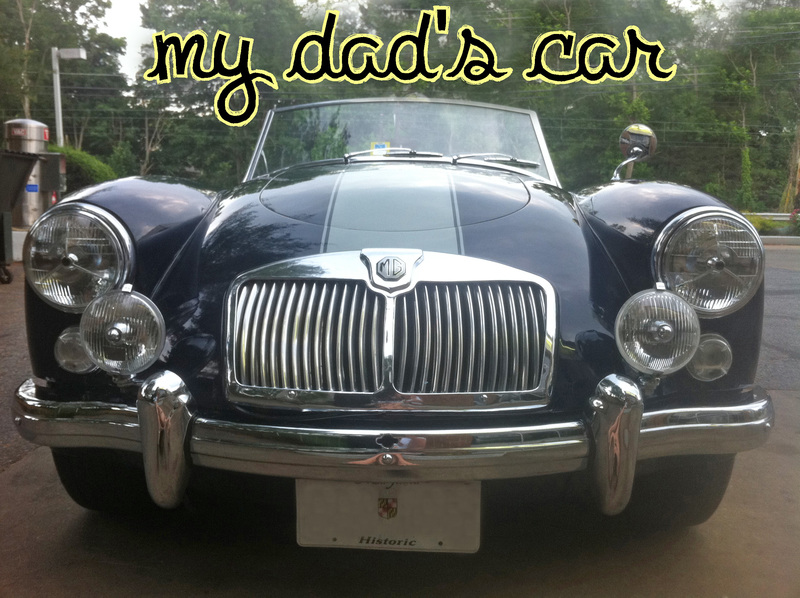 I honestly know nothing about cars, but I know that when dad starts driving this around regularly, its officially summer. 7. Now this isn't super nautical, but I can't get enough of the chevron style of the top with the green accent and white buttons. 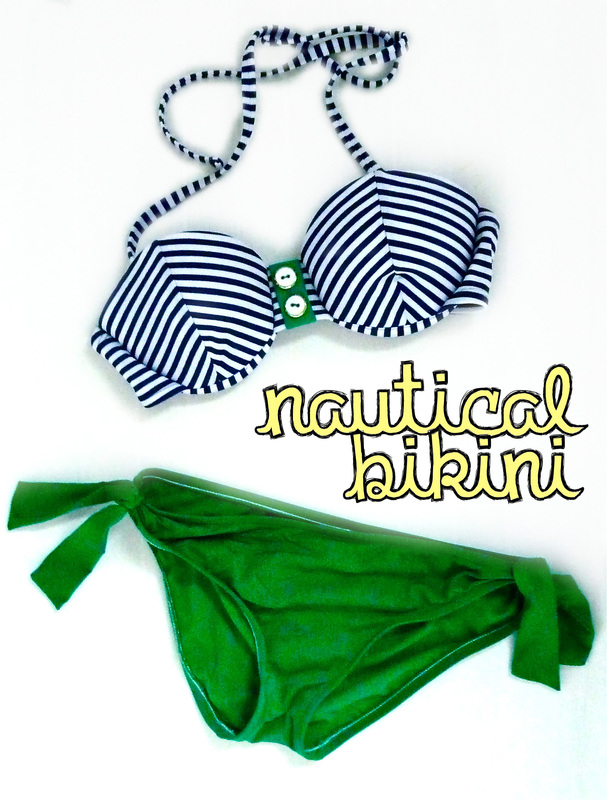 The green gives it the right pop of color that takes this bikini from being cute to one of my favorites. It can be found at Target, so check it out now! Oh and to make it even better, the top is a push-up! 8. 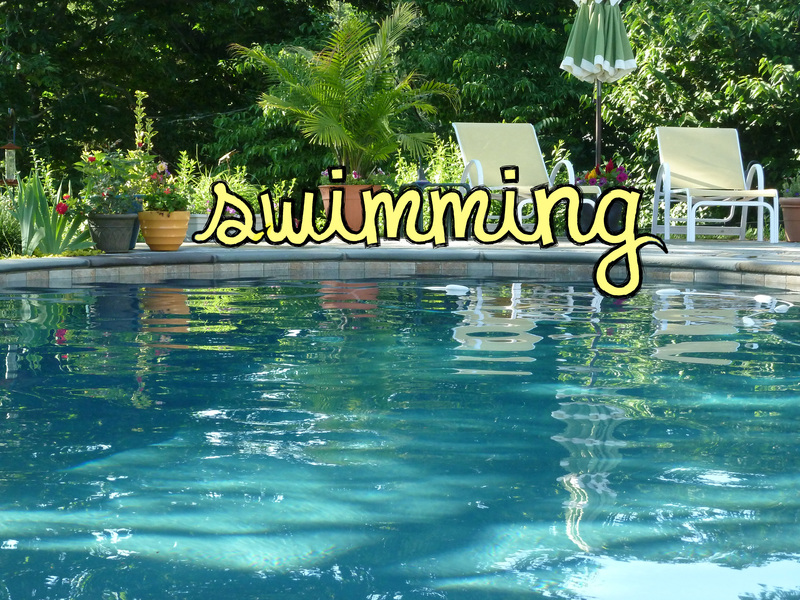 Nothing beats jumping in a cool pool on a hot summer day, which means my parents have about zero chance of getting rid of me. My mom has done an amazing job turning our back yard into a summer oasis. We even made the pool a salt water pool so it doesn't damage our hair color! Now that really is perfection. 9. 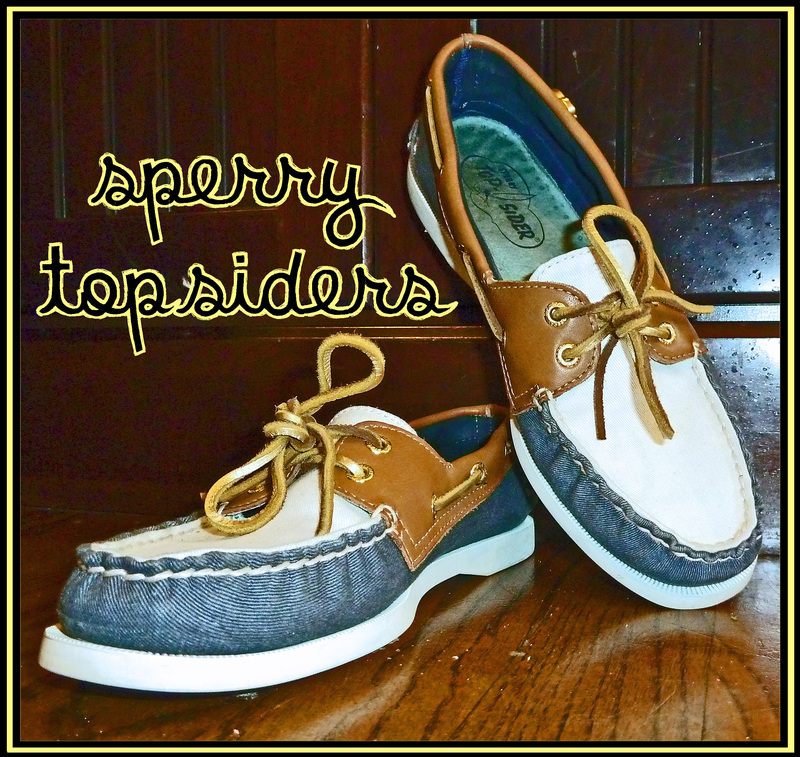 I first fell in love with sperry's in upper school when the school administration vaguely described the shoe dress code as "tennis shoes that are 90% white or brown shoes with laces, worn with navy blue knee socks." Of course they meant those ugly brown oxfords, but we all took these guidelines to fit the description of all brown sperry topsiders. Finally there was a part of my uniform that I could wear outside of school without creepy old men asking if I was a catholic school girl. I love that these shoes can go with pretty much everything and have developed a slightly unhealthy obsession with them. My favorite pair at the moment are the Cloud Logo Authentic Original 2-Eye Boat Shoe (pictured). However, if you still need that one perfect seersucker piece for your closet, check out the Angelfish Slip-on Boat Shoe. Or if you're looking for something with a little sparkle, then the Bahama Boat Shoe is for you! 10. Hydrangea bushes can spruce up any yard. We have a huge bush by our pool and I love the color it brings and how easy they are to maintain. 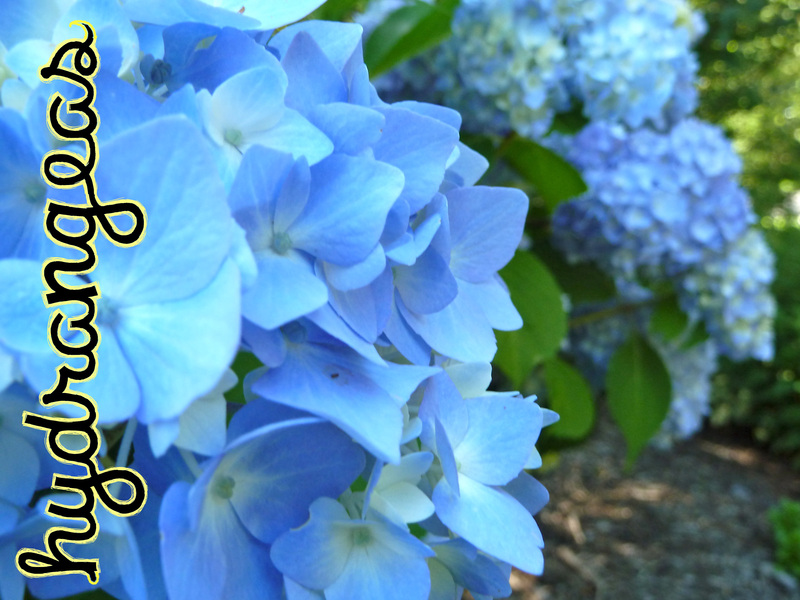 If you want to grow blue hydrangeas, try and grow in soil with a pH of 5.2 to 5.5. If the pH of the soil is too high you can apply soil Acidifier or lower the pH organically, and more gradually, by adding pine needles or pine bark. Now that I have all these, my favorite items are sure to be my only blues this summer! What are your favorite summer style pieces? I'm totally jumping on the bandwagon here, but I have caught cheetah fever. Christmas at my house was filled with cheetah gear. It was the happiest morning as we unwrapped presents to find cheetah belts, cheetah mitten, cheetah scarves, and cheetah clutches. 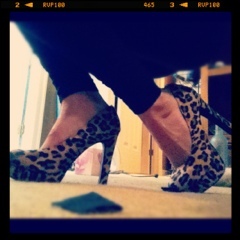 Now this weekend I found the most wonderful pumps at target and instead of fulfilling my cheetah cravings, it has only made them stronger. So now I'm rolling out my fondant, gathering my nail polish, and trying to decide of I want to make cheetah cupcakes or do a cheetah mani first. 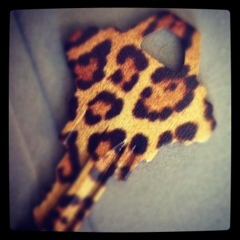 Stay tuned and witness my cheetah fever!